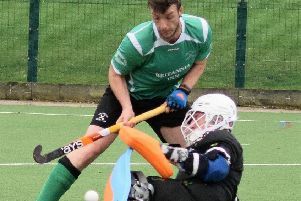 A stirring second half fightback from Chesterfield 1sts was enough to see them overcome a stubborn West Bridgford 2nds. Trailing 2-1 at half-time, Chesterfield turned it around to win the Midlands league Division Three match 4-3. Top scorer Dan Molloy, Johnny Hancock, Adam Bointon and skipper Josh Brocklehurst were all on target for the greens. Man-of-the-match Brocklehurst said: “We weren’t good at all in the first half. 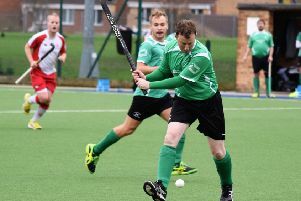 Chesterfield travel to Bloxwich HC for their last match before the Christmas break, knowing victory would take them up to second place. Brockelhurst added: “It would set us up nicely for the second half of the season. Molloy pounced from close range to open the scoring, but a defensive mix-up and then sloppy marking allowed West Bridgford to lead at the break. Hancock levelled after a deft touch from youngster Ryan Speed inside the circle. Bointon made it 3-2after a defence splitting Pat Evans pass. The fourth goal quickly followed from Brocklehurst before the visitors replied.